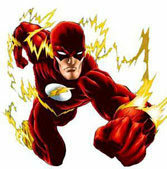 According to a report on Deadline.com, The CW may be developing a new TV series based on DC Comics character The Flash. This news is especially relevant because Arrow Executive Producers Greg Berlanti and Andrew Kreisberg, as well as pilot director David Nutter, are said to be involved. 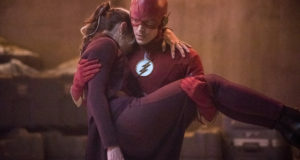 If it goes forward, it is said that Berlanti and Kreisberg will write and show-run the potential series with David Nutter directing a pilot. Deadline’s piece mentions that The Flash might show up on Arrow first, which would definitely go against the “no powers” rule. You can read the full piece about this news on Deadline.com. Hopefully some more information will come out during the TCA CW executive session, which should be happening this morning in Beverly Hills. Watch the @GreenArrowTV Twitter feed for updates on that when and if they happen. UPDATE: Mark Pedowitz has confirmed The Flash is in development. It’s an “origin story,” and the Flash in question is Barry Allen, who will show up first as a recurring character on Arrow. Next: The Flash On Arrow… Here’s The Scoop From Andrew Kreisberg & Geoff Johns! 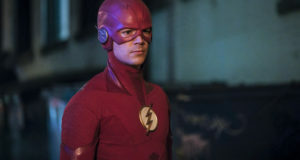 yeah, i will support this tv series because i <3 "The Flash".